In October 2016, nearly 200 countries, including the United States, signed an agreement to phase-out the use of a group of environmentally damaging refrigerants called hydrofluorocarbons, or HFCs. HFCs have been the most widely used group of refrigerant chemicals in the world over the last two decades, however, they are also very potent greenhouse gases with significantly more global-warming potential than carbon dioxide. 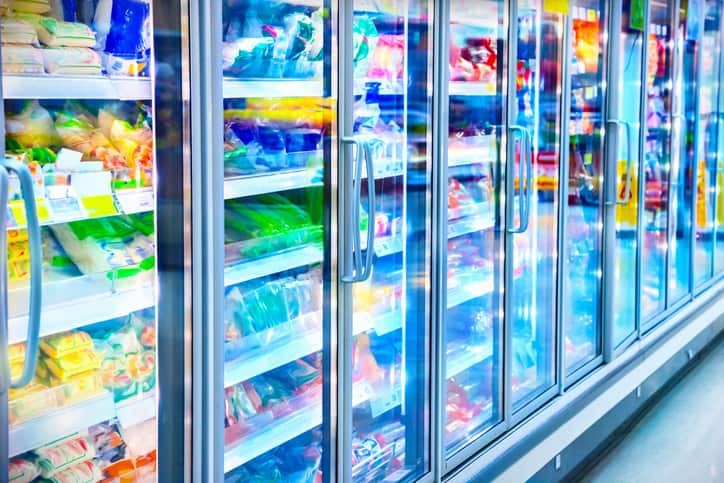 The phase-out dates for using HFC refrigerants vary by use and application, but many common HFCs used in commercial refrigeration will be banned in new systems by January 1, 2021 and prohibited in new air conditioners by 2024. As detailed in the feature story, “Freezer Burn” in the May/June 2017 issue of NFPA Journal, the upcoming phase out is causing some anxiety among some fire safety professionals because a clearly safe alternative to HFC refrigerants has not yet been identified. There are a finite number of chemicals that can be used as refrigerants—the substances that circulate through a refrigerator or air-conditioner, cooling the air—and each of the remaining options appear to be flawed. Some are too toxic. Some are not environmentally-friendly. Many are at least somewhat flammable. At the moment, the two main candidates to replace HFCs—hydrocarbons, such as propane, and synthetic chemicals called hydrofluoroolefins, or HFOs—are both flammable, yet highly efficient refrigerants with relatively low environmental impact. Current codes and standards severely limit the quantity of flammable refrigerants that can be used in a system, making their large-scale use unviable for most commercial applications. This has made it difficult for industries that rely on refrigeration, such as retailers, grocers and others, to transition away from HFCs and other environmentally harmful refrigerants, because most of the most promising new refrigerants are at least somewhat flammable. This prospect of widespread use of flammable refrigerants has prompted a number of “high priority” research projects ahead of the HFC phase-out. The Fire Protection Research Foundation is finishing up a project analyzing the fire hazard of propane refrigerants in commercial retail and kitchen settings. Results could be published as early as July. Meanwhile, the American Society of Heating, Refrigerating and Air-Conditioning Engineers (ASHRAE), the U.S. Department of Energy, Air-Conditioning, Heating & Refrigeration Institute, and California Air Resource Board have put together almost $6 million to fund seven such research projects. Eventually, this work will influence ASHRAE 15, Safety Standard for Refrigeration Systems, the basis for model codes and UL standards. A few relevant NFPA codes—NFPA 55, Compressed Gases and Cryogenic Fluids; NFPA 58, Liquefied Petroleum Gas; and NFPA 30, Flammable and Combustible Liquids—may be impacted indirectly by the changes. While categorizing refrigerant hazards is beyond the purview of NFPA standards, if HVAC companies start storing large quantities of flammable gases or liquids, NFPA codes and standards may compel them to take additional or different fire protection measures. There is still much up in the air. The one certainty is that, as the proposed changes in the use of flammable refrigerants unfold, research, education, and smart codes and standards will be paramount to ensuring public safety. For much more detailed information on this topic, read “Freezer Burn” in the May/June 2017 issue of NFPA Journal.